Ezekiel bread update | Fork off, heart disease! 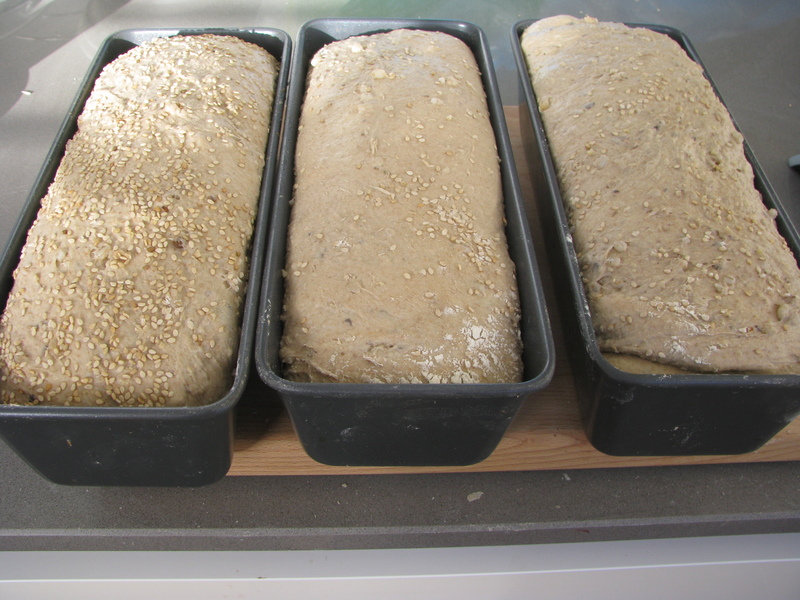 A few weeks ago I posted up the Ezekiel bread recipe that I have been making lately. But something wasn´t quite right – the texture was spongy rather than stringy, indicating that the gluten wasn´t developed the way it should be. So I was complaining about this to my friend Hager, who suggested that I check out this episode of MasterChef Australia. Clearly I live under a rock cause I am one of the few people who are not completely addicted to this show. Anyway, Hager told me about this episode where a bread baker showed the participants all the tricks of the trade about getting a nice textured bread. And it involved slapping and tossing the dough around. Since this looked like an appealing method of stress relief, I took up the challenge. 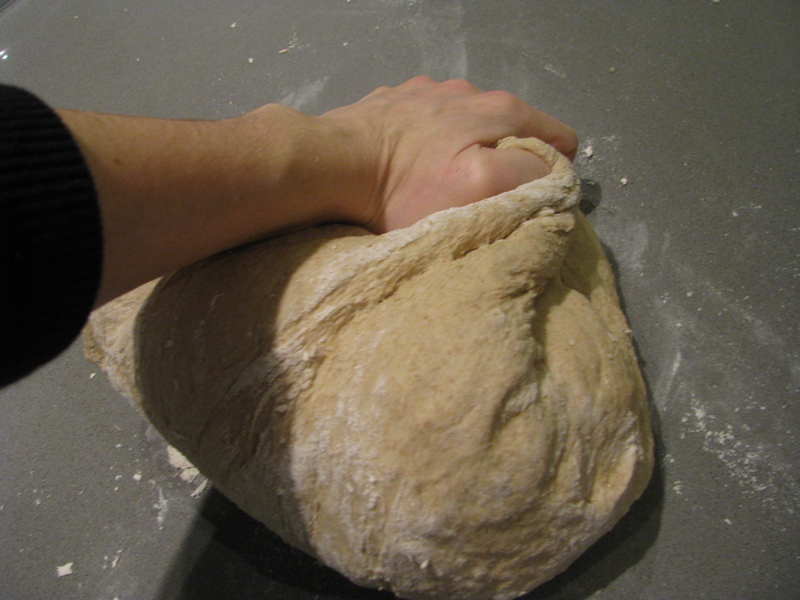 After two minutes of slamming and kneading, let the dough rest for 2 minutes. Then start the cycle again until the 20 minutes are up. 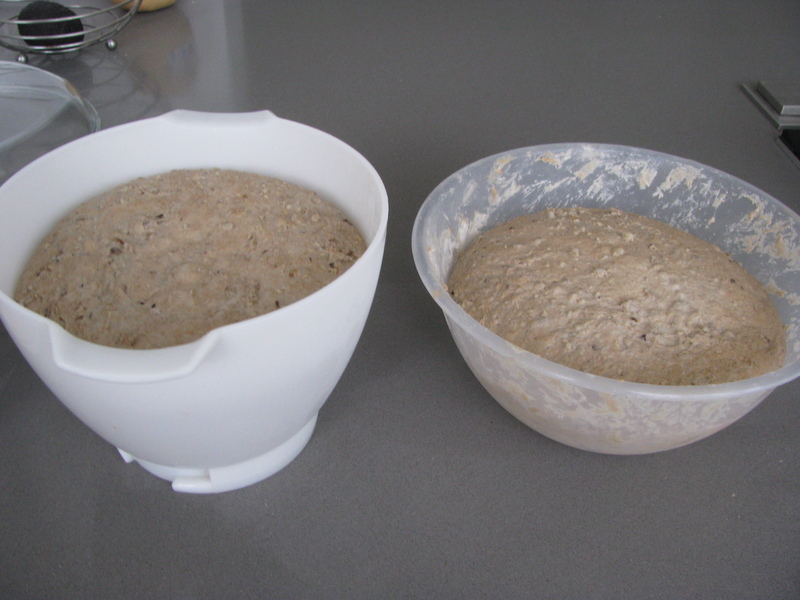 It´s amazing how the dough feels after this cycle of kneading/slamming and resting – it is very soft and elastic. 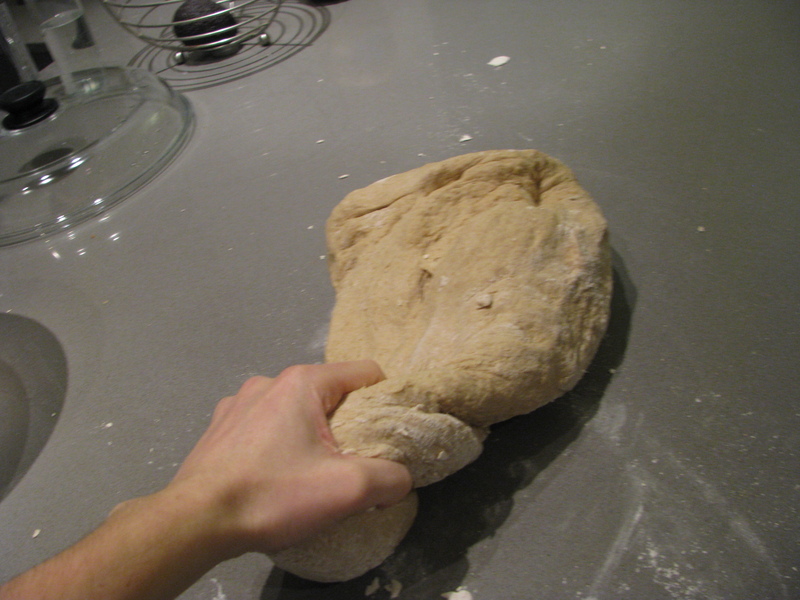 After the 20 minutes, I stretch the dough on my work surface, which ends up looking like a giant pizza, then I spread the bean and grain mix, fold the dough and knead the dough to incorporate the grain mixture. Another tip from the MasterChef guest baker was to slow down the rising process as much as possible. So I left the dough to rise in the fridge overnight. 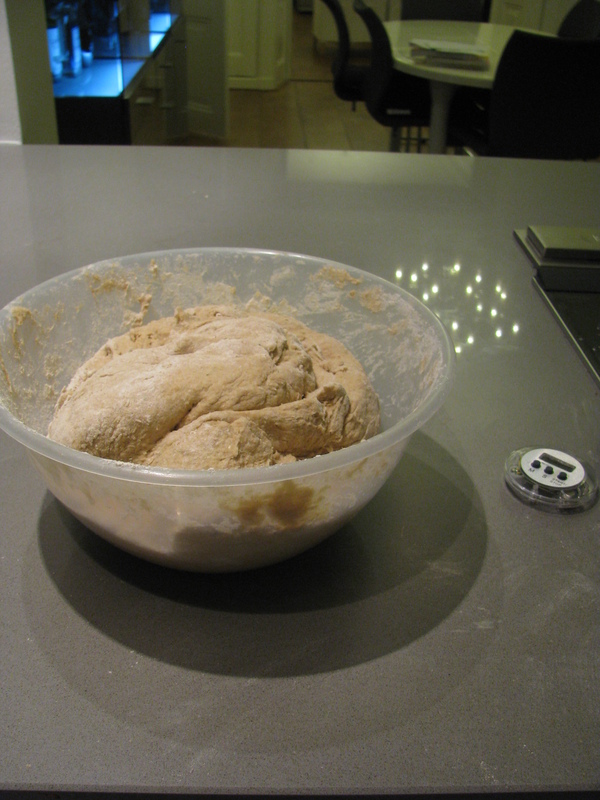 And this is what the dough looked like this morning – perky! The result was a great textured bread with lots of air holes and spring. Any good bread making wisdom to pass along? I am all ears!